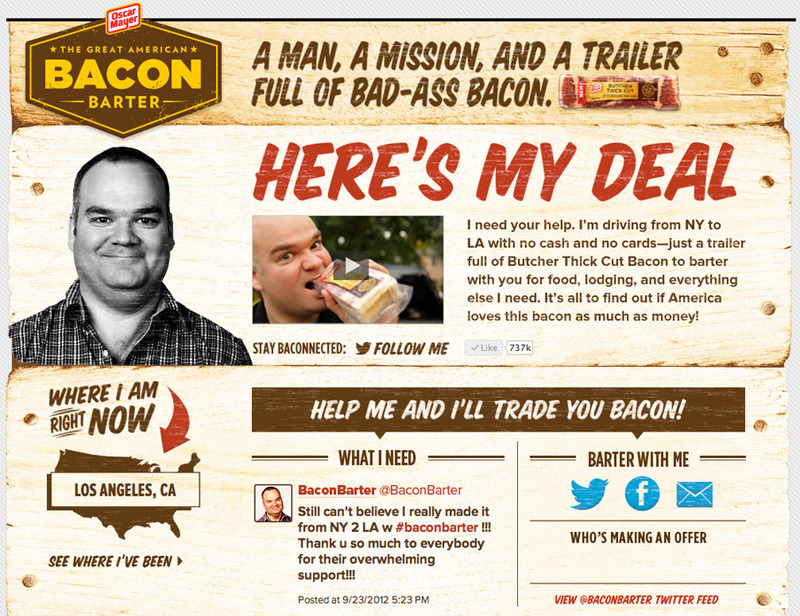 To focus the internet's ubiquitous bacon banter on Oscar Mayer, we created The Great American Bacon Barter: one man's socially-driven quest to cross the country solely by bartering with Oscar Mayer Butcher Thick Cut Bacon. People got tattoos, traded family heirlooms, renamed a city, all to get some BTC. The project received 335 million earned media impressions and worldwide engagement on a budget so small, the agency filmed the intro video at my parents' house. P.S. : My parents keep kosher. AS SEEN ON WHO WANTS TO BE A MILLIONAIRE?